If you read my first post in this little series, then you'll know just how much other bloggers influence my purchases. To me a blogger recommending something, is like a friend recommending something. So today I'm back with another Blogger Purchase. I was so unsure about this concealer when I first got it because I thought I could use it as a proper concealer. That's not really practical because the shade is just too light and I don't find it high coverage enough for me. However, I love it for highlighting the face. The formula is so creamy and light making it perfect for brightening under the eyes. I feel like the majority of bloggers own Glastonberry, myself included. It's the most beautiful vampy dark berry lipstick. Despite being matte, it's very comfortable and looks stunning during winter. It's one of those lipsticks that looks good on everyone. I've been using this toner for years and I still love it. With ingredients such as glycolic acid and witch hazel, it's perfectly exfoliating yet gentle. My skin responds so well to this product and I've recommended it to so many people. 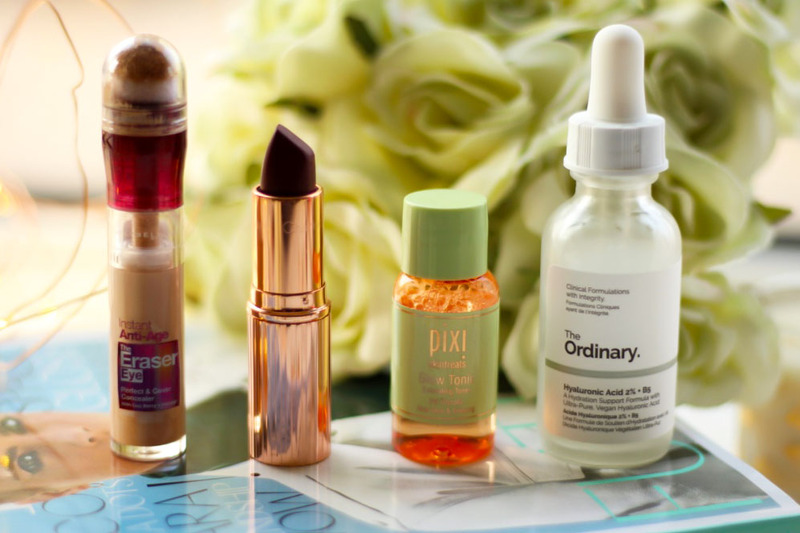 The Ordinary itself comes highly recommended by so many bloggers. And their Hyaluronic Acid is no exception. It's completely replaced all my serums and is the one of the best products to use if you have dry or dehydrated skin.